The history of The Lion in Winter | The Custom Made Theatre Co. The European Middle Ages began around 500 AD following the collapse of Roman infrastructure and the withdrawal of Roman troops from northern Europe, and was marked by a period of invasions from the Vikings and the Huns that reduced a once unified continent to a myriad of small kingdoms which wouldn’t know national cohesion again until King Charles of the Franks was crowned Charlemagne of France in 800. In 1066 the Duke of Normandy, a vast region on the north coast of France, crossed the English Channel and defeated the English king, Harold Godwinson, at the Battle of Hastings, just 3 weeks after he had defeated the Norwegian king, Harold Hadrada, effectively ending the era of Viking power. The victor crowned himself William the 1st of England and Normandy, thus ushering in the High Middle Ages (1066-1300) and laying the groundworks for the power struggle at the root of The Lion In Winter. William’s son William Rufus succeeded him as king, but died childless in 1100, and the throne passed to his younger brother, Henry the First. Henry’s only legitimate son (William Adelin) drown in a shipwreck in 1120 while attempting to save his half-sister, and so the crown passed to Henry’s daughter, Matilda. Though many people, royal and common, accepted Matilda, a rebellion lead by her cousin, Stephen, resulted in a period of civil partisanship known as The Anarchy, during which England was split into two kingdoms: Matilda’s in the northwest, and Stephen’s in the southeast. 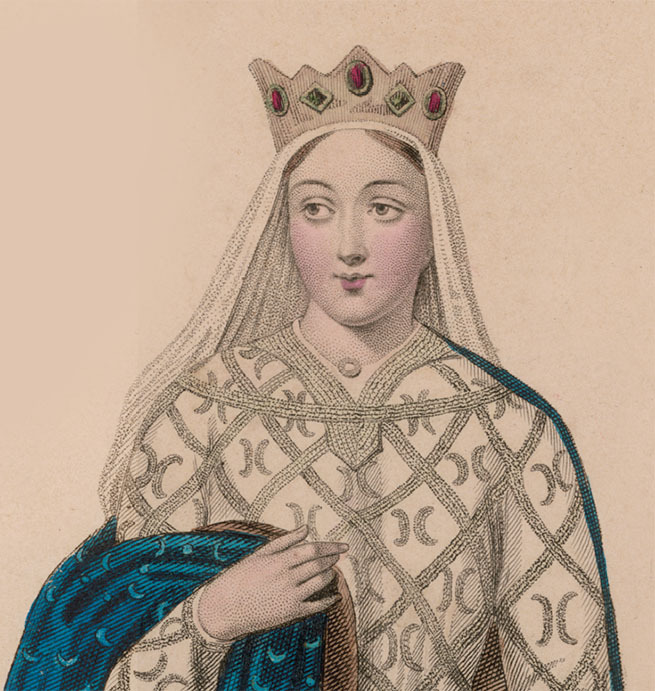 Eventually the two sides agreed that Stephen would reign as King, Matilda would reign as “Lady of England” (a title never held again), and her son by Count Geoffrey of Anjou would succeed Stephen upon his death. On October 25, 1154 the son in question, nicknamed Curtmantle, took the throne as Henry II, King of England. 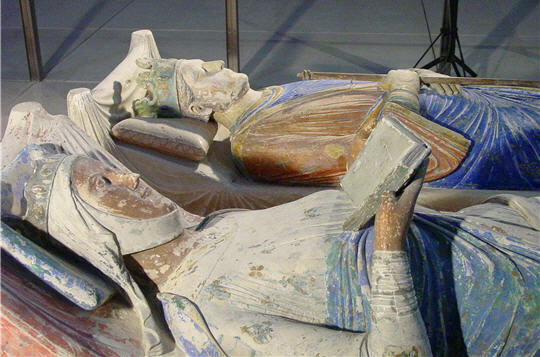 Through his marriage in 1152 to Eleanor, the Duchess of Aquitaine (the largest, richest county in France), and his inherited titles of Duke of Normandy and Count of Anjou, Henry was the ruler of more of France than the King of France himself, Louis VII, who was, incidentally, Eleanor’s first husband, before she divorced him in 1152. ]Eleanor and Henry would have 8 children. The first, William, died as an infant, but the remaining 7- Henry, Matilda, Richard, Geoffrey, Eleanor, Joanna, and John- survived to adulthood and through their marriages and deeds Henry became the most powerful man in Europe. At the time of Lion in Winter, his empire included parts of Germany and Spain, the islands of Sicily and Ireland, and more of France, namely the county of Brittany through his son Geoffrey’s marriage. Under Henry’s leadership Europe achieved a stability that resulted in the flourishing of major cosmopolitan centers like London and Paris, and cultural advancements in international trade (particularly of English wool and French wine), romantic poetry (Marie de France composed the most popular version of the King Arthur legends during this time), and gothic architecture (work began on Notre-Dame in 1163). 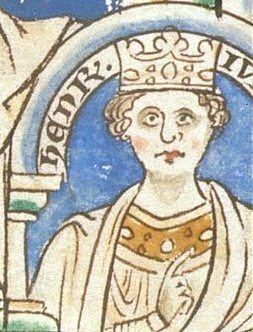 Determined to see the world he created last, Henry crowned his eldest son in 1170. The crowning of Henry the Young King so enraged his mother and brothers (who saw it as an attempt to cut them out of the legacy) that they revolted in an Eleanor helmed uprising that ended in her imprisonment in Salisbury Castle for the rest of Henry Senior’s reign. Attempting to keep his sons in line, Henry brokered a potential marriage between Richard (who was his mother’s favorite) and Alais of Vexin, the daughter of Louis VII by his second wife, and half sister to Phillip Augustus, who would succeed his father as King of France in 1180. However, by the time Henry the Young King died of dysentery in 1183, Alais and Richard had still not married (though Henry Senior had set up a military presence in her homeland), nor had a new heir to the English throne been declared. Though the Christmas court of 1183 that is the setting of Lion in Winter never actually happened, all of the people in the play, and the various alliances at stake, were real, and would continue to affect life in Europe for the 200 years to follow.